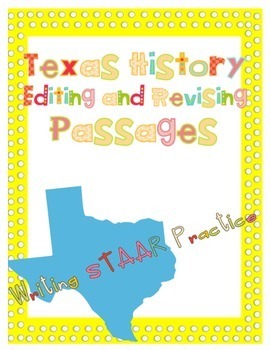 This pack is full of 18 Texas history editing and revising passages and answer keys. 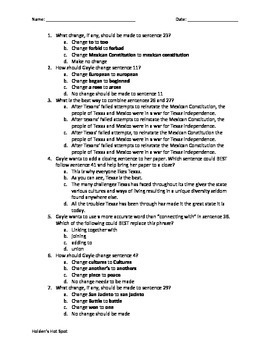 Each passage has 10-12 questions that were created with STAAR question stems for authentic practice for the STAAR test. 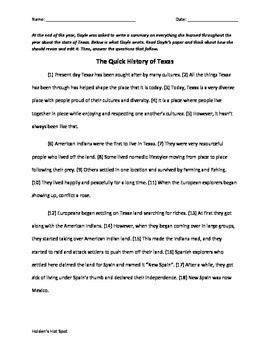 Passages are especially useful for any 4th grade teacher having to teach Texas history and writing. Use these passages to practice editing and revising skills, as well as build prior knowledge for Texas history. The pack includes the following passages.